Steven Spielberg has done it again by taking one of the most influential figures in American history and in the world’s modern history and making a film classic that will live on forever. That film is Lincoln. I saw it today. The movie starts when Lincoln won his 2nd term in office and the story centers on the events and people that led to the approval of the 13th Amendment of the U.S. constitution that ended slavery in this country. The Civil War had been going on for over four years. There were hundreds of thousands of casualties. Our fairly young union was split. The issue of slavery was at the epicenter of the war. The amendment was being introduced again to the House of Representatives. In a still fairly racist America, racial equality was still too controversial. There were not only deep political divides, but across faith, morality, economics and other hot issues. The South wanted to be a separated political nation or rejoin the Union with slavery intact as a condition of peace. 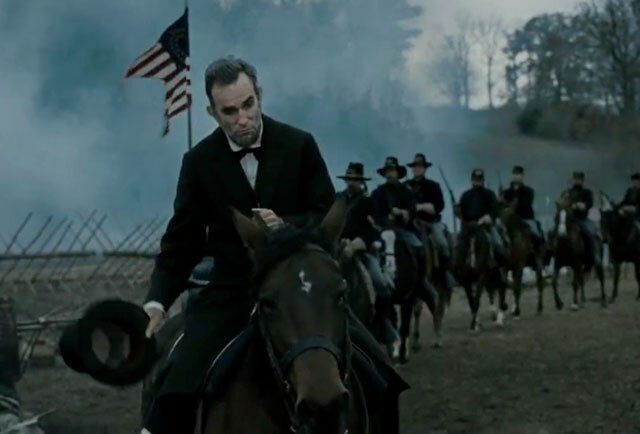 Lincoln ( Daniel Day Lewis) enters this political hot bed with not only the war still at hand but with the strong will to have slavery end with the approval of the 13th Amendment. The film sheds light to the political maneuvers that took place to get the vote by Lincoln and his supporters. It really is a textbook look at politics in operation in a democracy. It is not pretty at times. There is compromise. There is the understanding of opponents and what is needed to get them to your side. The film also shows Lincoln’s life at home with his wife and his sons Tad and Robert. A kinder light is shown on Mary Todd ( Sally Field) who suffered from metal illness and depression. Lincoln loved her despite their stormy relationship. His relationship with his sons was portrayed as a loving. Tommy Lee Jones is brilliant as liberal Thaddeus Stevens. He and Daniel Day Lewis shine in their roles. Sally Fields also turns in a stellar performance. The film touches on the idea of equality in the law and overall equality. You see the that the road to realizing such dreams is filled with compromise and also with steadforwardness, especially in a democracy where the process can be messy. Lincoln was practical , understood politics, but also was committed to the cause he believed in and it is why his legacy lives on with every citizen here. This is a must see film for every American and for anyone interested in what it means to earn the dream of truly being free.